It was another beautiful day today. We’ve had a few good ones lately… the kind when I feel I have the best job in the world. What other jobs let you take long walks in beautiful weather? 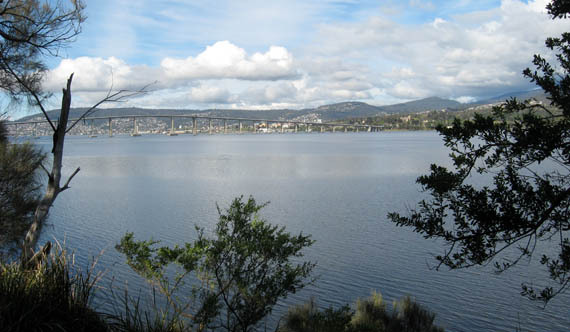 From Anzac Park in Lindisfarne, a view of the Tasman Bridge. 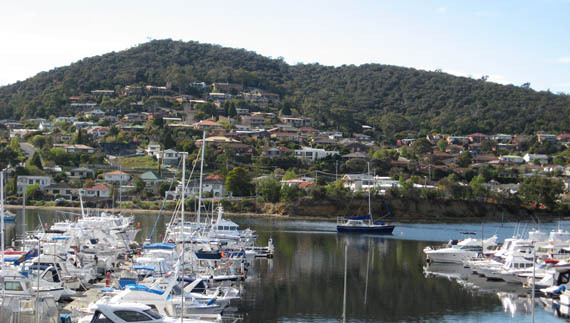 The yacht club in Lindisfarne. I took a client out for a long walk today and enjoyed the views, met some nice animals, and just had a nice time. And this gorgeous bush. I have no idea what it is, and most of the year it looks totally unimpressive. 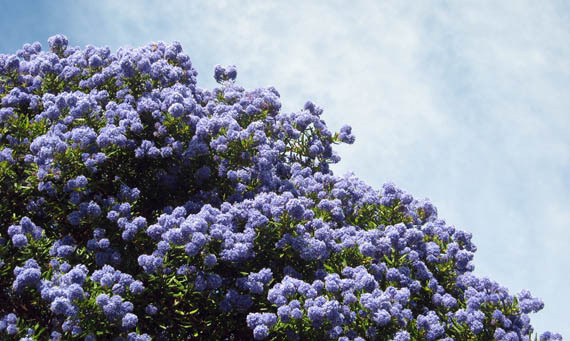 Then in early spring it blooms to a cloud of brilliant purple. On the to do list? I washed dishes. Cooked dinner. Folded washing. Pooper-scooped the yard. Anything else. I was just too tired.